In my early days these were Bayley’s Ess. Bouquet, Lubin’s Chypre, Piver’s Le Trèfle Incarnat, Roger & Gallet’s Vera Violetta. The greatest perfumer of his time, Mr Parquet, created Le Parfum Idéal, Fougère Royale and Cœur de Jeannette, all admirable perfumes, and later Mr Bienaimé composed Quelques Fleurs with its new note of lilac that proved a considerable success for the house of Houbigant. — Perfumer Ernest Beaux on a few of the perfumes that left an impression on him. 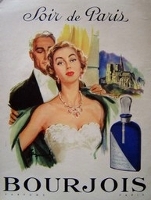 From Perfumers on Perfume : Ernest Beaux on Fragrance Masterpieces at Bois de Jasmin; it is the first in a projected series of translated articles from the archives at the Osmothèque perfume museum in Versailles. The fragrance Chanel No. 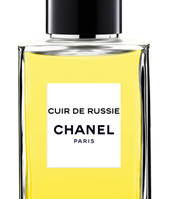 5 recreates a scent that perfumer Ernest Beaux whiffed while traveling where? What is not in doubt, however, is the talent and taste of Ernest Beaux, nor his temperament which allowed no one the privilege of telling him what to do. His best composition was not No. 5, which has always been cleverly promoted, but rather the magnificent Bois des Iles of which Chanel has never taken full advantage. — Perfumer Edmond Roudnitska, in the foreword to Michael Edwards' Perfume Legends. I have owned this book for years but somehow never read the opening. Sometime in the late-1920s, Bourjois executives sat in an office building in Manhattan and plotted how to conquer the American market. Bourjois was mostly known for its lipsticks and powders, but it had had some success in France with Mon Parfum in 1923. Bourjois was owned then, as it is now, by the Wertheimer family, which also owned Chanel.